A heat pulse of unknown origin causes a large-scale melting of the mantle in the Finnish region, and the molten rock finds its way from the mantle into the Earth’s crust. The high temperature in the crust formes large amounts of granite magma. The rapakivi granite is formed in this process. 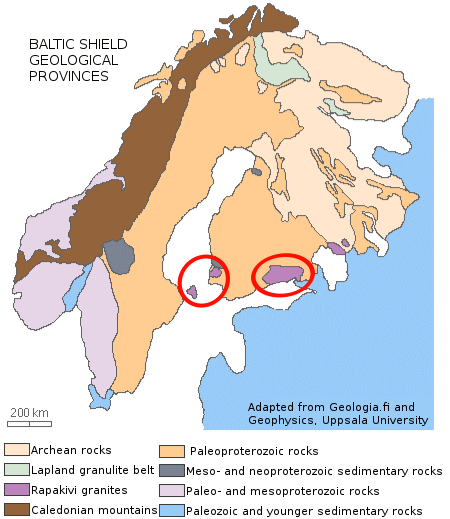 These famous intrusive rocks formes large part of the bedrock of south-western and south-eastern Finland. 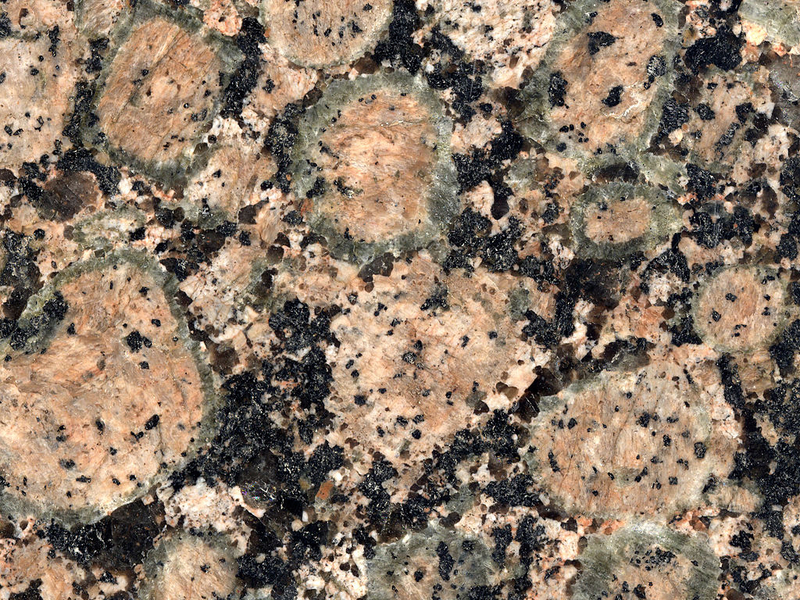 A rapakivi granite includes many different kinds of rapakivi. The rapakivi of Vehmaa, in the quarry of Taivassalo’s Marjuksenranta is vyborgite, while in Helsinginranta it is porfyritic rapakivi. The crevices used by rapakivi magma also offer inlets for other magmas. 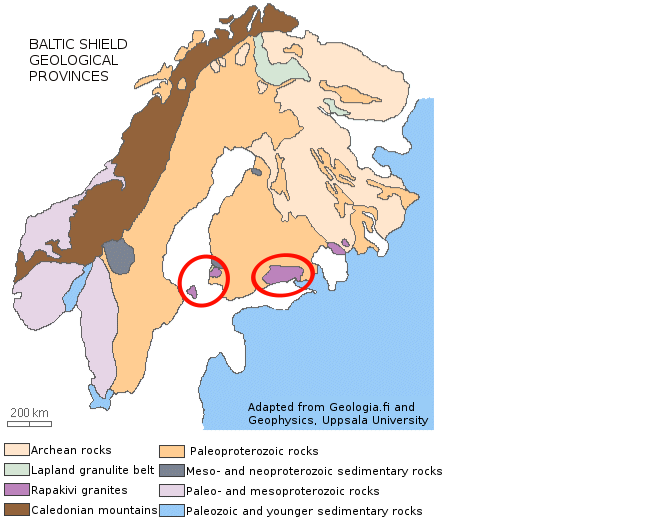 The dark diabase dikes found in current rocks are formed from these other magmas. The Baltic shield. Rapakivigranites are shown with lilac. Image: Adapted from Geologia.fi and Geophysics, Uppsala University.